The world's in an uproar over the death of Cecil the lion. But while most of the response has been directed at anger toward the hunter who killed him, a Minnesota dentist who's now in hiding, there are tens of thousands of lions who are still alive - and need our help. If you'd like to do some good in Cecil's memory, and help lions and other animals like them, here's how. 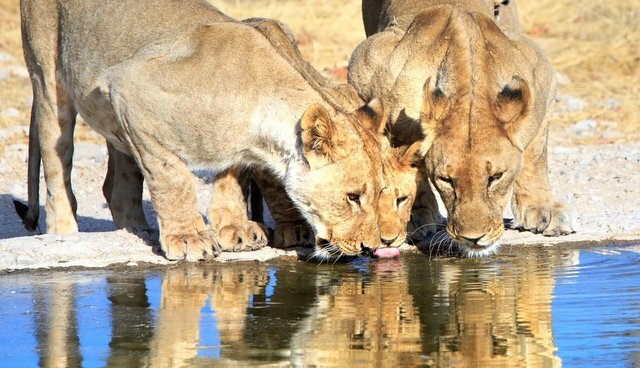 National Geographic Big Cats Initiative: The Big Cats Initiative supports programs around the world that promote the survival of lions and other big cats. Click here to donate. International Fund for Animal Welfare: IFAW works to help animals in need across the world - no matter how big or small. Click here to donate. Big Cat Rescue: You might think of Africa when you think of big cats, but there are a surprising number of them in the U.S. as well; in fact, there are more tigers in captivity than there are left in the wild. This Florida-based rescue works to promote the welfare of big cats in the wild, while providing a home to those who have fallen victim to the exotic pet trade. Click here to donate.